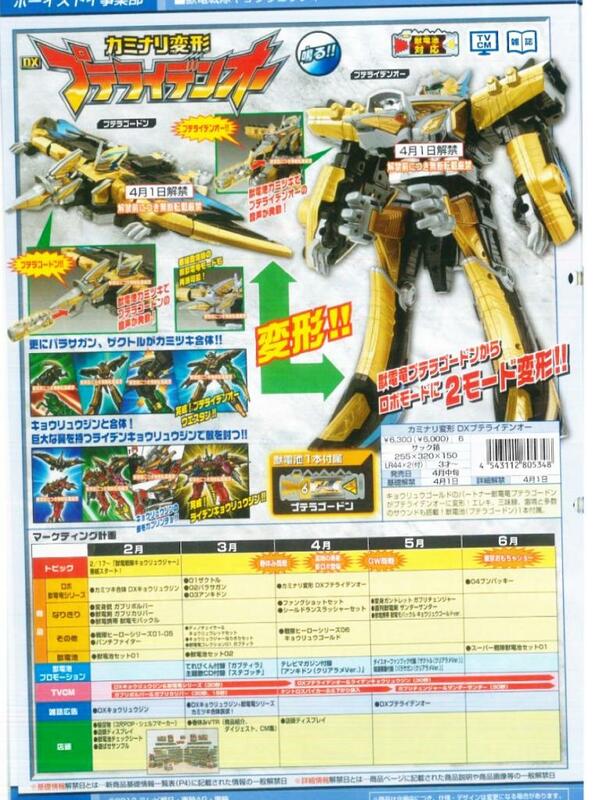 KyouryuGold's personal robot, which transforms from his ZyuDenRyu Partner, Pteragoudon. 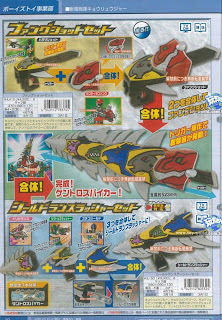 Can combine with Parasagun and Zactor to form PteraiDenOh Western, as well as combining with Kyouryujin to form RaidenKyouryujin. Comes with ZyuDenChi #6 Pteragoudon. The next in the ZyuDenRyu Series, based after a Pachycephalosaurus. It can combine with Gabutyra and Ankydon to form Kyouryujin Kung Fu! 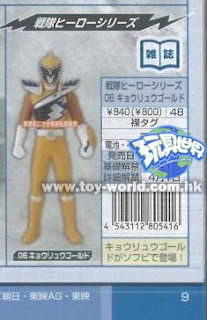 Includes ZyuDenChi #8 Bunpachy. The DX FangShot and ShieldLanSlasher Sets. The FangShot is composed of the GabutyraFang, and the ParasaShot. The ShieldLanSlasher is composed of the StegoShield, ZactorSlasher, DriceraLance. 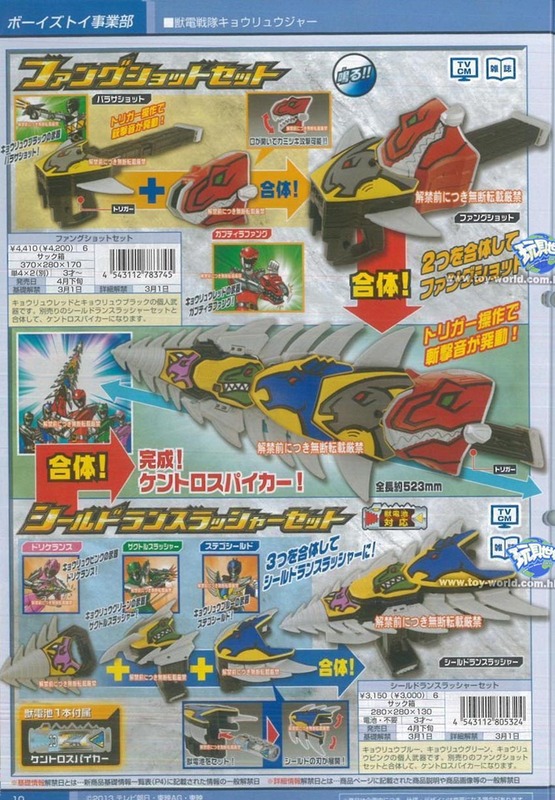 All 5 weapons can combine into the KentroSpiker, powered by ZyuDenChi KentroSpiker; included in the ShieldLanSlasher Set. 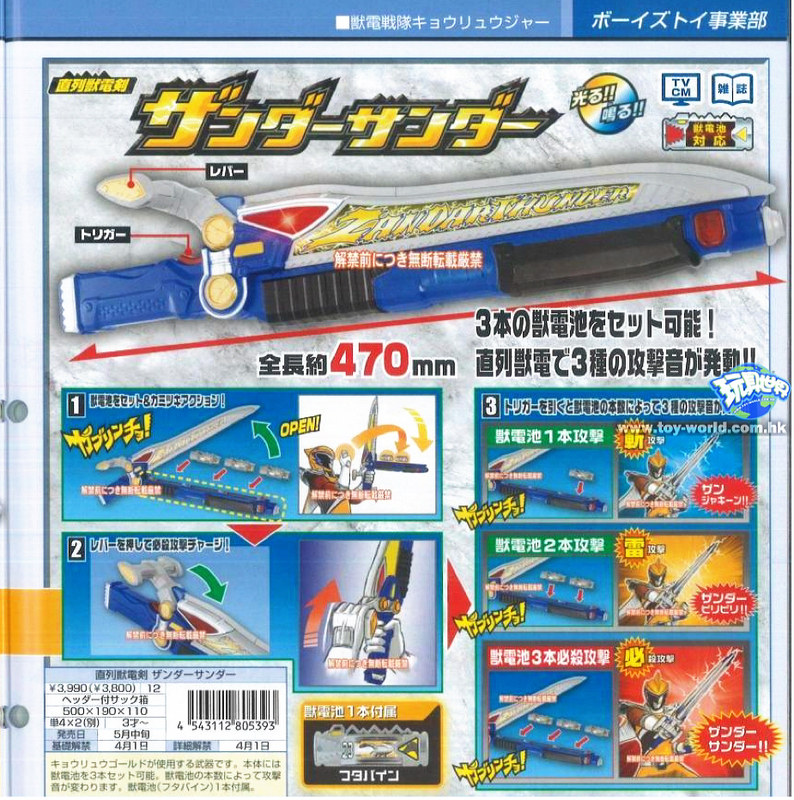 GaburiChanger, KyouryuGold's henshin device. 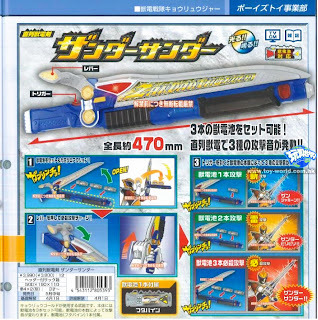 It also acts as a blade weapon, and a gun/bow type weapon. It can be joined with the ZandarThunder sword to perform a finishing move. 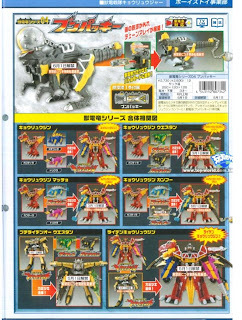 Includes a ZyuDenChi #6 Pteragoudon. The ZandarThunder, KyouryuGold's persnal weapon. 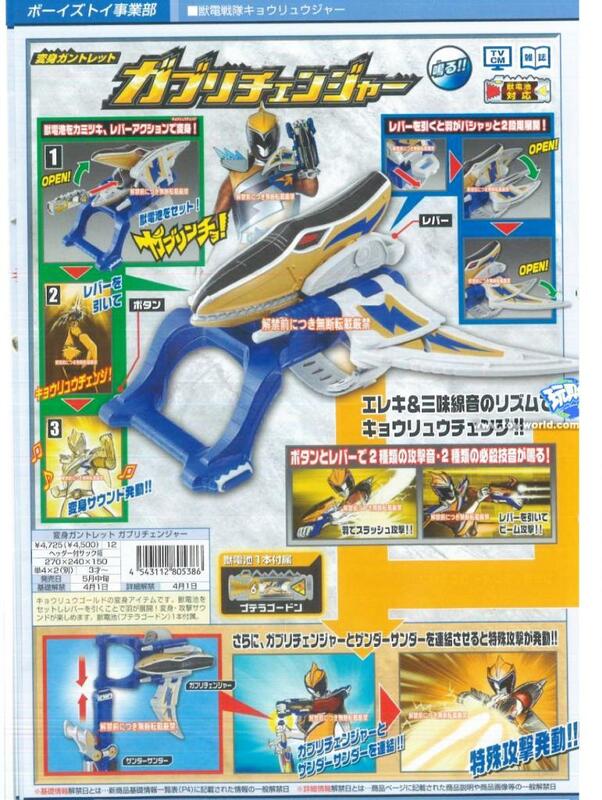 Can hold up to 3 ZyuDenChi, the varying number causes different sound effects. 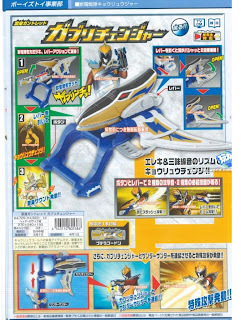 Comes with ZyuDenChi #23 Futabain. 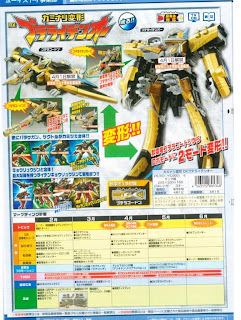 Thank you for the info; the Pteranodon mecha reminds me of Killeroh.